The old valley. I miss it. It was December 2011. Life was good. My server was still "fresh" which made a lot of people want to play it. 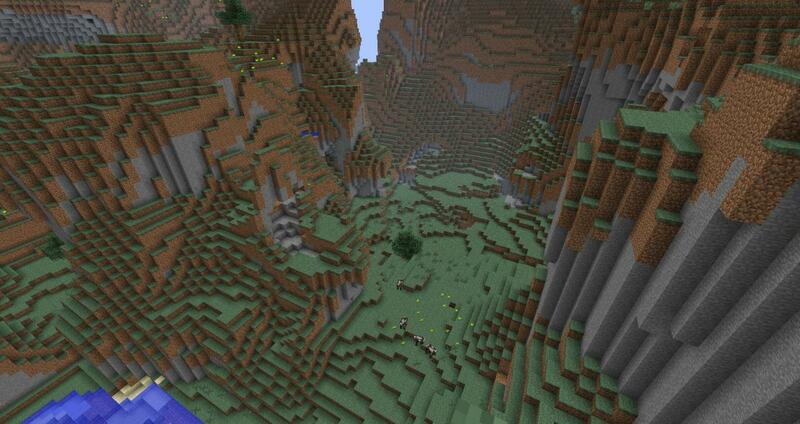 Minecraft 1.0.0. The good old days. My Coalition and Arinare's COMFLT living in the same valley. The same valley, more of a canyon, the capital city of Agria. The Coalition's capitol building was built into a cliff overlooking the town. Three sets of switchback stairs descended into the valley below, joined by a platform. The town square, which I built and took great pride in doing so, was centered around a fountain and monument. To the right of the town square from the capitol is a two-story house, which if I remember correctly was given to pickle455. In front of the square lies the entrance to the underground section of the city, which mostly serves as storage and temporary housing. To the right of that was COMFLT (Combined Fleet) HQ, belonging to Arinare and serving as a home and sometimes a lab. The docks could be found on the lakeshore. I had a lot of good memories from back then. 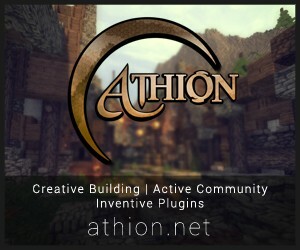 Mojang should have stopped there. It was the new Minecraft done right. All this new stuff is ruining the game. Let's face it, Jeb got carried away adding new stuff and is only adding new things to appease the players, essentially doing what mods were supposed to do. The players eventually get bored of the new stuff, and Jeb has to add new things to keep them entertained. He'll run out of ideas eventually, and Minecraft will die out. I dread the day he finally decides to listen to the six-year-old kids in the forums who haven't played for more than a month who ask for "ender" this and "ender" that, the same people who ask for new ores, new dimensions, new mobs, items, abilities, etc. as if Minecraft isn't screwed up enough as it is. Let's face it: 1.1.0 and 1.0.0 were the "new" minecraft done right. Although we can all agree that pre-1.8 was the best, that's something for another blog. For some of you new players, this might be hard to believe, but Minecraft in its current state bears no resemblance to Minecraft at its apex, Beta 1.7.3. Currently working on an exact replica, might take a while and I can't guarantee 100% accuracy. Well, not everyone would agree that it was best during beta 1.7.3. I would say that I enjoyed 1.8.1 better, but that opinion is heavily biased, as I only started playing during beta 1.8.1. I have played some 1.7.3 using the new launcher though, so at least I do have some comparison... anyways... let me continue. In 1.8.1, the smooth lighting, and more importantly, a brightness slider, was added. I really like the slider, as I prefer being able to see just a little bit when I'm in an unlit cave. Again, I don't have much to compare this too, as I have only just began playing in 1.7.3. In 1.8.1, the hunger bar was added, which, even though I have always played with it, I loved. I'm all for realism in games, and the hunger bar added a ton of realism to Minecraft, even though, in itself, Minecraft is by no means a realistic game. In 1.8.1, I have heard, but I am not sure if this is true or not, Minecraft's performance plummeted in comparison to 1.7.3, as in players experienced a decrease in their frames per second. I know I'm probably missing many upsides to 1.7.3 as to 1.8.1, so please feel free to tell me what I've missed. My basic point here is not everyone, in fact, most people who play minecraft won't agree that pre-1.8 is the best. But that's probably only because they have not been playing it since then. Oh, and I think I found the flash drive I had the old world backed up on. True, I'd want pre-1.8 most but I'll settle for 1.8. Jeb's been adding new stuff that nobody wants to see added, and the game's lost its atmosphere because of it. Notch should never have handed it over to Jeb, since Notch wanted a sandbox game and Jeb wants an RPG. If I want to play an RPG, I'll go play Fallout or Skyrim. Yeah... Notch should have handed it to someone who wanted it to be a sandbox game. I think it would be better that way. I do like a lot of the new stuff, but some of it seems a bit much.